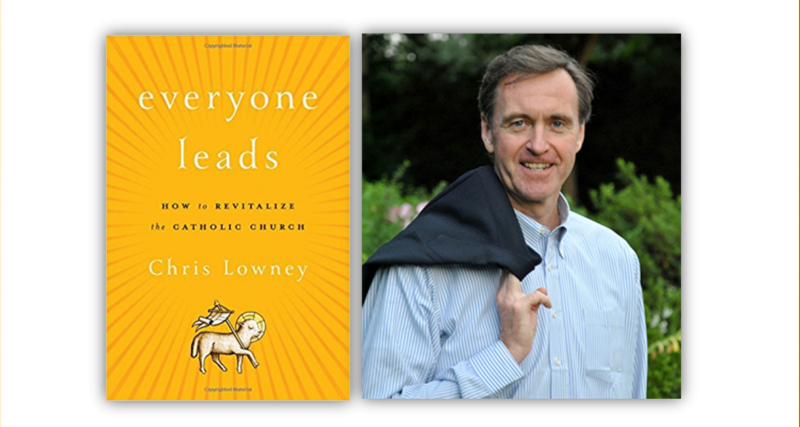 Chris Lowney’s new book Everyone Leads is now available! 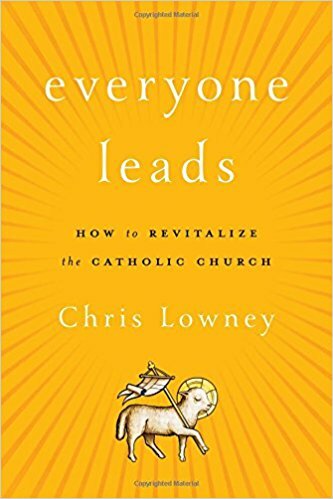 Our friend and fellow member Chris Lowney (Fordham `04) has published a new book detailing how the Church can reverse the decline that has defined recent decades. Get your copy today! Alpha Sigma Nu has an advance peek at the first chapter. If you are interested in reading the first pages before purchasing, contact us for the sneak peek. The Catholic Church is suffering its worst decline in five centuries—a precipitous slide that will turn catastrophic unless reversed by fundamental changes in strategy, culture, and leadership style. Even the inspiring leadership of Pope Francis will not reverse the slide without a strategy for action, from the grassroots through the hierarchy. Bestselling author Chris Lowney, a former Jesuit seminarian and business executive who now chairs one of the world’s largest Catholic ministries, not only outlines the challenges but also maps the path forward in Everyone Leads. After a bracing review of the church’s global struggles—from clergy shortages to declining participation—Lowney draws on two decades of change-management experience to propose an "EASTeR" strategy of five transformational principles: be entrepreneurial, be accountable, serve, transform, and reach out. These five ideas can catalyze profound change in every parish, in how bishops think, and in the roles laypeople play in leading the church. Filled with real-life examples, Everyone Leads outlines strategies that anyone can employ—from the pews to the pulpit—to strengthen the church. As a former business executive who lectures globally about leadership, Lowney speaks credibly about the institution’s challenges and potential. And, as chair of one of Catholicism’s largest hospital systems, he writes “from within” as a Catholic who loves his church and is committed to seeing it flourish.